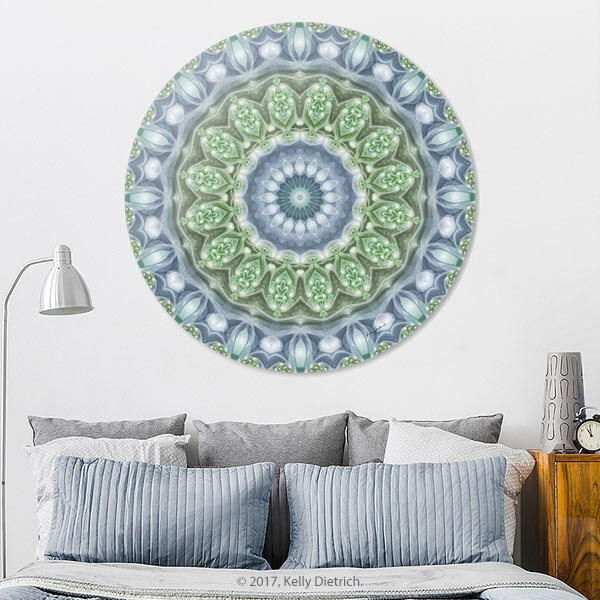 I create mandalas and mandala - inspired products to help enliven your home, meditation space, or work place. 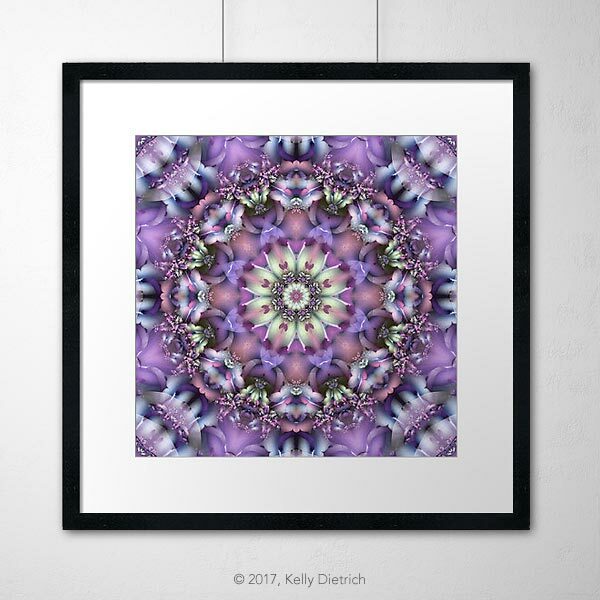 My art prints and products are sold through a variety of retailers. The images below are a small selection of the products these retailers have available. Click on the photos to see pricing and detailed information. For a list of retailers, see below. 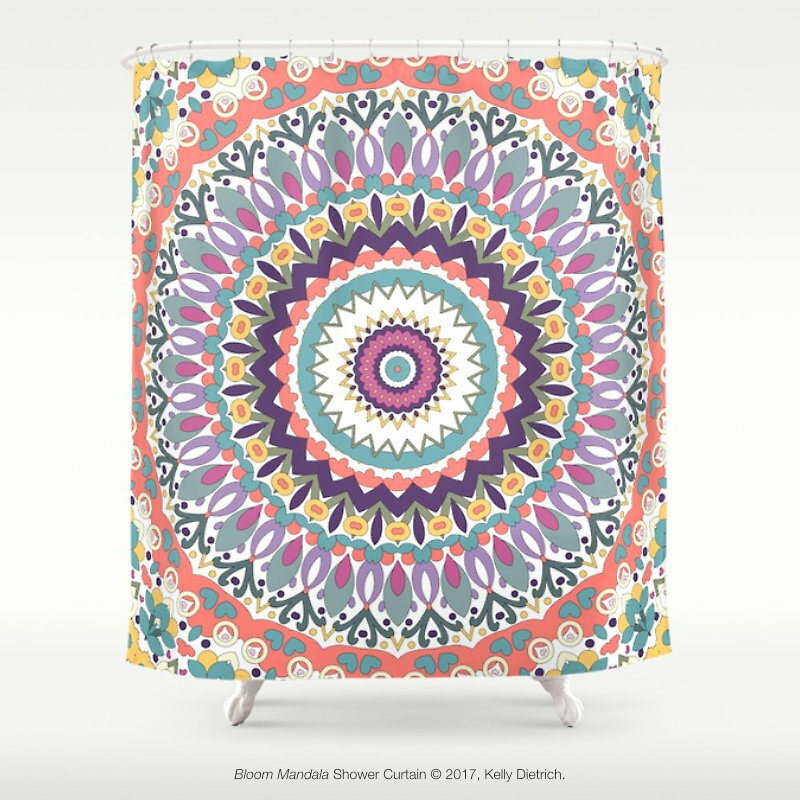 In 2001, mandalas came into my life in a magical way, and now, eighteen years later, I'm as captivated by them as I was then. 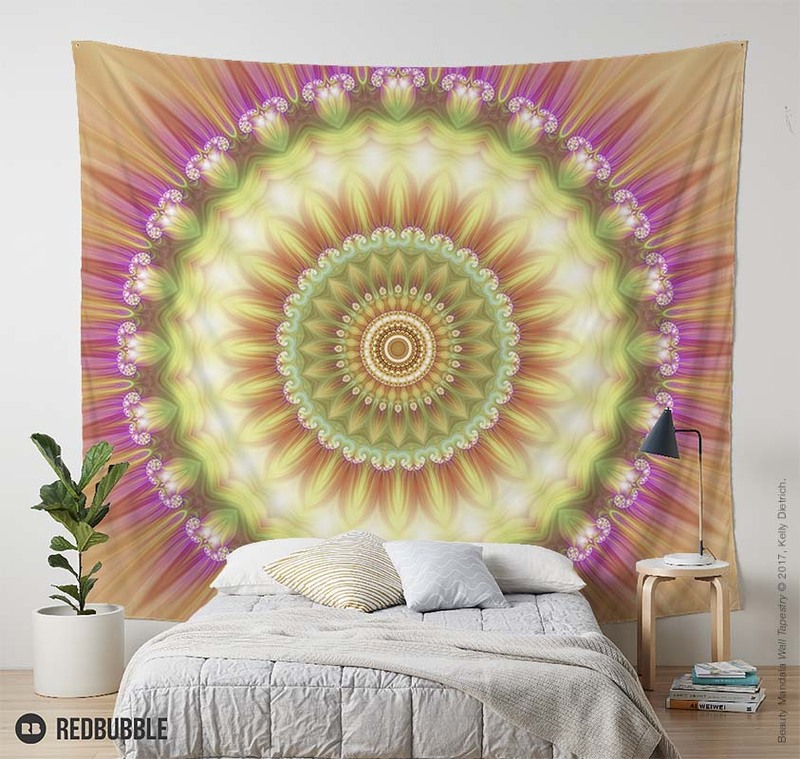 I believe that mandalas bring a positive energy into any space. The symmetry and the repetition of color and pattern create a feeling of balance, harmony, and peace, thereby transforming the spaces in which they are found and those who interact with them. So it's with great pleasure and good fortune that I've been able to share my art with family, friends, and collectors across the globe. 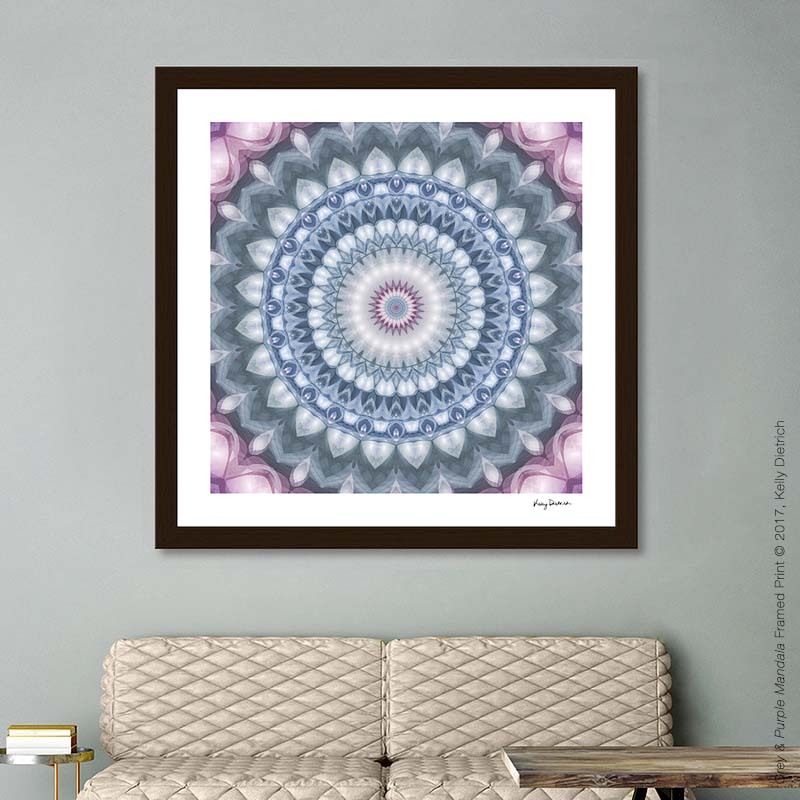 My artwork hangs in private homes and corporate collections throughout the world while my coloring books, meditation app, and mandala inspired gifts, home decor, clothing, and other products have enabled me to share my work with an even wider audience. 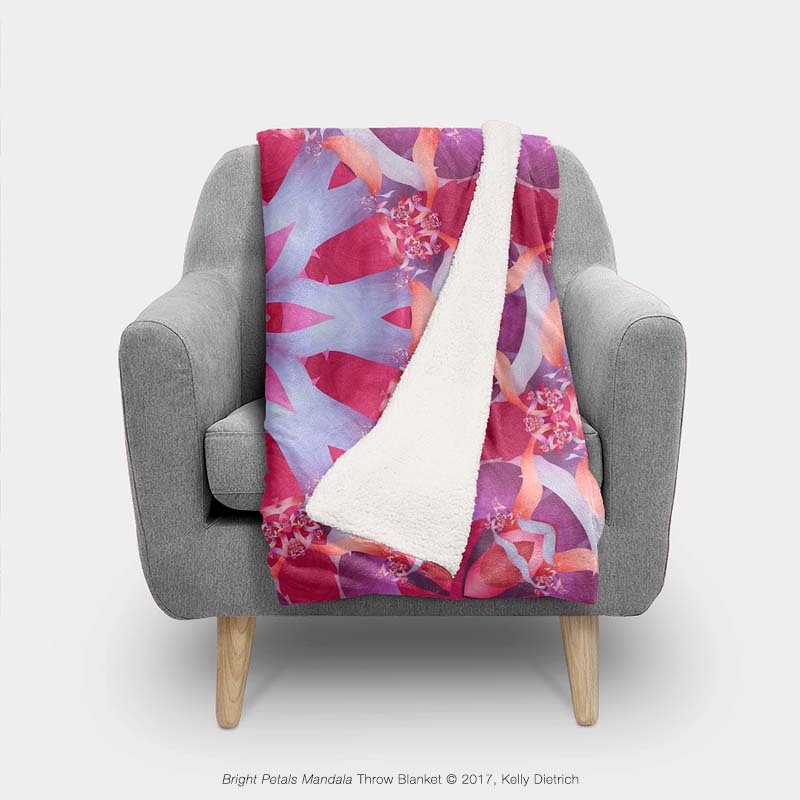 My art is available from a variety of online retailers. See the retailer list below to visit my shops on their web sites. Please note, all of my product transactions are handled by these retailers including printing, shipping, and returns. 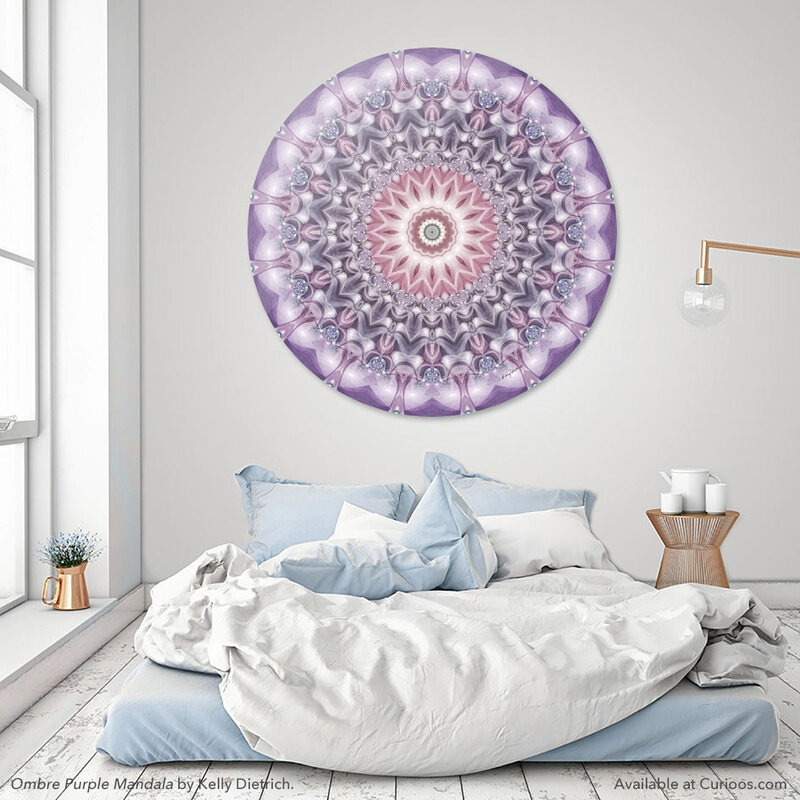 If you would like to license my images or commission a mandala especially for your home, business, healing space, or yoga studio, I'd love to talk with you. Please use my contact form to share your ideas and information. To find out more about me, go here. Thanks so much for visiting!